#CRPF(CENTRAL RESERVE POLICE FORCE) Recruitment 2017 - CRPF Released Latest Job Notification vacancies to fill #CRFP CONSTABLE (TECHNICAL & TRADESMEN) (MALE/FEMALE) Posts- Before Online apply carefully read the following details . 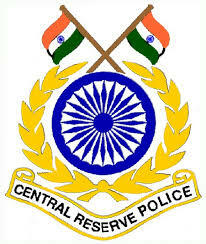 It is best job for who are searching job in CRPF. university recognized by the Central or State Govt, must be proficient and worked in respective trades for all Tradesmen & for other refer the notification. 18-23 years for all other posts (CT/ Tech & Trades except CT/ DVR) as on 01-01-2017. Documentation, Written Examination, Trade Test & Medical Examination. AndhraPradesh police Constable Examination Nov 6 2016 , Answer key -Ap police conistable question paper with key ,police constable exam key all sets - Preliminary Key for Andhra Pradesh State Level Police Recruitment Board - 2016 for PC Entrance Examination conducted on 06.11.2016.